Red Bull TV has joined the ranks of HBO Now Netflix and CBC All Access as being casted to your Chromecast enabled TV from Google Home. Now using Google Assistant, you can ask for content from the service without having to manually do so from your phone or tablet. Even better, no account linking is required. To try it out, just say, “Hey Google, play How to MTB on my TV” and the show How to MTB from Red Bull TV will be casted to your television. If you aren’t familiar with RBTV, you can check out all their shows here. Google has begun rolling out a feature Google Home visualization feature today, allowing you to ask Google Assistant to display the weather forecast on your Chromecast enabled device. The new feature is a cloud-side change so there is nothing for you to do. You will know when you have the feature on your account when you ask Assistant on your Google Home, “Hey Google, show me the weather on my Chromecast”. Visualizations with Assistant and Home were shows last year at Google I/O as a way to improve getting personalized content. In the case of the weather, you can visually see the weather forecast instead of having to listen to Assistant read it back to you on your device or Google Home. Google is set to roll out an update to Google Play Services tomorrow aimed at addressing the slow WiFi issue that some users of Chromecast and Google Home have experienced. The issue cropped up a couple of weeks ago and at first, was thought to be an issue with the new Google Home Max. It turns out that Google Play Services was the culprit. For those that haven’t encountered the problem (good! ), it comes down to Android devices on your network as well as Chromecast and Home devices. Essentially what was happening is that Android devices on the same network would see the Cast enabled device and flood your network with packets. That would cause slowness or instability. It was effectively an internal DDoS attack. One of the best features of Google Home when it comes to audio is one that I suspect many have not heard of or used. It is called Home Grouping and it allows you to put your Home and Chromecast audio devices into a logical group inside the Home app. Once done, you can give the command to play music on that group and it will play across all of your Home devices. It is a great feature and is easy to setup. First, make sure you have the latest Google Home app on your phone. Next, make sure that your phone and the Home, and the Chromecast devices you want to add to your group are all on the same network. In other words, you can’t do this while you are on a business trip or on holiday. You have to be home to do it. Finally, make sure all of your Home device and Chromecast devices are turned on so they can be found. With that, let’s get to the How To. When the announcement came out a few weeks ago that Google would be holding an event on October 4th, it seems pretty straight forward. This Google event, it seemed, would bring us a couple of new phones and that would be about it. 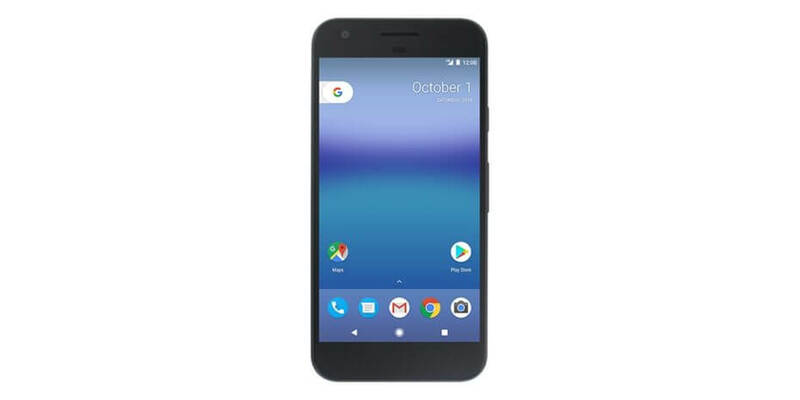 However, the much anticipated Pixel and Pixel XL are likely to only be the tip of the iceberg. The event is shaping up to be huge with announcements across a wide swath of the Google landscape. While everything to this point is purely rumor, there are strong indicators of what we will see or won’t see. I’ve put together a list of things we are likely to see in the October 4th event and it is expansive. Get ready for a really exciting day! Android Nougat 7.1, the first maintenance release for the latest version of Android. As for the details, both devices are expected to be powered by the Snapdragon 820 processor and both will have 4GB of RAM. Both are expected to have a 12MP main camera, fingerprint scanner and sticking with Nexus tradition, will not have a MicroSD card for storage expansion. They will however come with 32, 64 or 128GB of Storage. The devices have been heavily influenced by Google and are built by HTC. It is also expect that for the first time, Google will have their phones in carrier and retailers. Pricing is still a bit of a mystery but something around the $450 mark for the Pixel and $650 for the XL (starting price) is likely. Finally, don’t expect these phones to be available on the 4th. It will likely be the end of the month before we see them ship if history holds true. You will however likely be able to pre-order them on or around the 4th. If you have a Chromecast, you know that there are some great photos that the device scrolls through while sitting idle. Sure you can point it to your own photos but some of the default ones are just spectacular. Now you can download them to your PC or Mac to enjoy thanks to Alex Meub.